The question of whether an artist can be liable for infringing his or her own work leapt from the pages of every law student’s nightmare exam into the U.S. District Court for the Northern District of California last month. 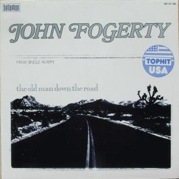 There, defendant John Fogerty, the creative force behind Creedence Clearwater Revival, stood accused of infringing his own 1970 hit “Run Through The Jungle” (now owned by Fantasy Records) to create his 1985 solo hit “The Old Man Down the Road” (owned by Fogerty himself). The case, Fantasy v. Fogerty, decided in Fogerty’s favor [and later upheld on appeal by the Ninth Circuit], raised a wealth of curious issues for artists and attorneys alike. Can artists actionably infringe their own work? Does the law protect an artist’s overall style? Was Fogerty helped or hurt by going up against his own work? Finally, has his successful defense driven musical copyright infringement actions that much closer to extinction? 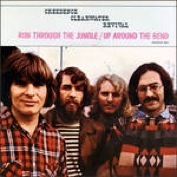 Creedence, now disbanded, was a hugely successful band in the late sixties and early seventies. One of their many hit singles, “Run Through The Jungle”/”Up Around the Bend,” peaked at No. 4 on Billboard’s charts in 1970. 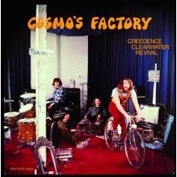 Early in his career Creedence songwriter, guitarist and lead vocalist John Fogerty assigned the copyrights in these compositions to plaintiff Fantasy’s predecessor. Fantasy president Saul Zaentz and Fogerty share a well-publicized history of conflict too lengthy, complex, and litigious to risk discussing here. Fogerty testified, however, that his reaction thereto kept him from fully pursuing his music from 1972 until 1985, when he re-emerged with a successful solo album for a new label. That album’s first single, “Old Man,” hit No. 10 on Billboard’s charts, and returned Fogerty to prominence on the music scene. 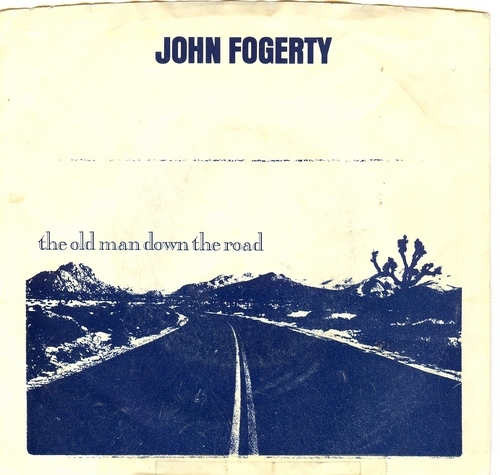 Fantasy, claiming that “Old Man” was actually “Jungle” with a different lyric, brought an infringement action and began placing Fogerty’s royalties into escrow pending resolution. Judge Samuel Conti actually resolved in pretrial rulings the issue many associated with the case: whether Fogerty could infringe his own work. Fogerty, although not a legal owner of the “Jungle” copyright, was a beneficial owner because he received continuing royalties in exchange for the earlier assignment. A copyright’s legal owner cannot infringe the copyright, nor can co-owners be liable to each other for infringement. Fogerty asked the court to extend this principle to beneficial owners as well. In a separate ruling, Judge Conti granted Fantasy summary judgement as to Fogerty’s defense that the First Amendment protected his songwriting style [664 F.Supp. 1345 (N.D. Cal. 1987)]. Citing the Ninth Circuit’s opinion in Sid & Marty Krofft Television v. McDonalds [562 F.2d 1157 (9th Cir. 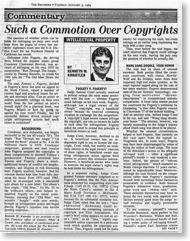 1977)], widely invoked for its “substantial similarity” test, Judge Conti ruled that the test’s “idea/expression” dichotomy itself accommodated the competing interests of copyright and First Amendment. The court’s brief ruling appears to cast an artist’s style as an “idea,” legally unprotectable unless “expressed” in a particular work which qualifies for copyright protection. Thus, Fogerty could not be liable merely for employing his style, but could infringe an earlier song expressing this style with a later song. Thus, even before the trail began, the court resolved that Fogerty could infringe his own work, leaving the jury only the question of whether he actually did. And an attorney rose, looked the imposing Judge Conti in the eye, and said: “Wang dang doodle, your honor.” The attorney, however, was merely responding to the Judge’s inquiry about which song was about to be played. Whether the unusual circumstances helped or hurt Fogerty, they certainly set this case apart from a typical infringement suit. In some ways, Fogerty may have been disadvantaged by virtue of being both songs’ author. The issue of the defendant’s access to the allegedly infringed work — often a significant plaintiff’s hurdle — was rendered a non-issue. Indeed, the spectre of “subconscious infringement,” which ensnared ex-Beatle George Harrison in a similar suit 11 years earlier, reared its unpredictable head. Moreover, although the case focused on the compositions rather than Fogerty’s recordings thereof, both recordings found themselves prominently in evidence. 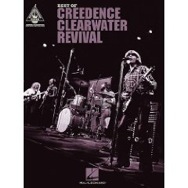 Both feature Fogerty’s distinctive voice, production, guitar work and “swamp rock” style. These elements themselves may have injected the two works with apparent similarities entirely apart from the songs’ actual melodies and legally protectable elements. To the contrary, plaintiff’s counsel Malcolm Burnstein cited the jury’s conceptual hurdle of finding a writer guilty of infringing himself. Plaintiff’s expert Earl Spielman claims that had anyone other than Fogerty written plaintiff’s work “Jungle,” Fogerty would certainly have lost the case. Spielman contends that the two works had an overwhelming number of common pitches, as well as similar meters, tempos, harmonic structure — even a number of similar words. Defendant Fogerty’s experts testified that these similarities were quantitatively rather than qualitatively significant, owing mostly to the melodic and structural limitations of the “swamp rock” and delta blues motifs. Post-trial press reports indicated that jurors found the two songs not substantially similar. Burnstein nonetheless believes that the jury’s reluctance to hold Fogerty responsible for infringing his own work — a reluctance Burnstein says is without legal foundation — led to Fogerty’s victory. Any one of us can cite examples of even a popular or critically-acclaimed artist referring to or borrowing from previous work in later creations. (Ed. note 2013: See here for one amusing example re screenwriter Aaron Sorkin.) When an artist has produced a significant body of work, such references may emerge as a style, perspective or sensibility which may even be more appealing or memorable than any individual work. An artist must be free to develop a distinct style while retaining the ability to exchange title to individual works for livelihood. If the artist cannot so transfer title without fear of losing the right to create additional works in what may be an inescapable style, the public benefit which the Constitution’s copyright clause addresses likely would be diminished. Moreover, shrewd investors purchasing highly individualized works could restrain an artist’s future work while increasing the value of their own investment. By the same token, the law must protect the integrity of an investor’s acquisition. Were the artist free to create and exploit substantially similar works with impunity, he or she could diminish the investors’ acquisition while recapturing rights already conveyed. Moreover, if the law so licensed the artist, “style” might quickly join other amorphous copyright concepts which can yield disturbingly inconsistent results. So the law must protect the naive artist from the unscrupulous investor, and the naive investor from the unscrupulous artist. Thus artists must be amendable to suit for infringing their own prior work, where applicable, but must also have a certain degree of legal protection encouraging further creative work. Can the law effectively protect creative style? In recent months, courts have accorded protection to similar property claims. In Midler v. Ford Motor Co., 849 F.2d 460 (9th Cir 1988), the Ninth Circuit upheld singer Bette Midler’s right to sue on common-law grounds for the commercial use of a “sound-alike” instructed to imitate her voice and style. [Ed. Note ’98: In 1992 singer Tom Waits won a similar action, Waits v. Frito Lay, Inc., 978 F.2d 1093 (9th Cir. 1992)]. Film-maker Woody Allen has gained similar protection under Lanham Act section 43(a) in a series of cases against “look-alikes” appearing in advertisements [see Allen v. Men’s World Outlet, Inc., 679 F.Supp 360 (S.D. N.Y. 1988); Allen v. National Video, 610 F.Supp 612 (S.D. N.Y. 1985)]. By contrast, Fogerty wasn’t trying to prevent another from appropriating his style, but rather to protect his own right to it. The court’s brief pretrial ruling seems to address this by categorizing Fogerty’s style as a legally unprotectable idea unless embodied in an expression susceptible to copyright protection. Thus, Fogerty could not be liable merely for employing his own style after selling previous works. If any individual song, however, were substantially similar to any previous song, infringement liability could result. Does the Fogerty case raise doubts about the future viability of similar actions? Garage bands and cocktail lounge musicians have flooded courts over the past several years claiming to have authored hit songs. Plaintiffs, however, have succeeded only in rare instances, typically where the plaintiff’s work was itself widely popular. George Harrison was found to have infringed a prior No. 1 hit, “He’s So Fine,” with his “My Sweet Lord;” Morris Albert’s “Feelings” was found to have infringed an earlier French hit. By contrast, unknown works and plaintiffs often fall victim to defense summary judgments. Here, as in the Harrison and Albert cases, plaintiff’s work also was a popular hit, yet defendant prevailed. Spielman, who does both plaintiff and defense work, insists that such actions are alive and well. He notes, however, that defendants typically opt for low-publicity settlements with plaintiffs who have a change of success, leaving only unmeritorious actions for trial. In sum, the Fogerty case raises an important, if abstract, question which may yet be resolved by the appellate court. For, while artists must have the freedom to develop and exploit their particular style or sensibility, purchasers of their copyrights also must have investment protection. Here it appears that while Judge Conti declined to recognize any particular style protection under Fogerty’s First Amendment or copyright defenses, the jury itself may have done so implicitly. This run through the jingle, however, did not take copyright law up around bend. The Fogerty trials spawned years of appeals and further rulings. Following the trial, Fogerty asked the court to award him his attorneys’ fees from Fantasy. The trial court declined, following then-current precedent, since it found that the case was neither frivolous nor brought in bad faith. The Ninth Circuit affirmed this ruling [984 F.2d 1524 (9th Cir. 1993)], as well as the lower court’s other rulings: (a) striking from Fogerty’s complaint allegations that Fantasy executives had fraudulently induced him to enter an unwise tax shelter scheme many years earlier, and (b) denying Fogerty’s claim that Fantasy’s act of paying his “Jungle” royalties into an irrevocable escrow breached the agreement under which he had originally assigned his “Jungle” copyright to Fantasy’s predecessor, and thereby rescinding the agreement and returning to Fogerty the rights to all his songs covered thereby. Fogerty then pursued his challenge to the attorneys’ fees denial to the United States Supreme Court. He successfully argued for the removal of the dual standard by which prevailing copyright plaintiffs routinely received attorneys’ fees awards, but prevailing copyright defendants gained them only by showing that a suit was frivolous or brought in bad faith. The Supreme Court reversed the earlier rulings denying Fogerty his fees [510 U.S. 517 (1994)], and returned the case to the Ninth Circuit, which, in turn, returned it to the district (trial) court [21 F.3d 354 (9th Cir. 1994)]. Thus, despite the novel infringement issue, the Supreme Court ruling ensured that the case will forever be better known as a precedent on attorneys’ fees recovery in copyright cases. On remand, the district court awarded Fogerty $1,347,519.15 in attorneys’ fees from Fantasy, but declined to award interest thereupon. In 1996, on appeal from both parties, the Ninth Circuit affirmed this ruling, and awarded Fogerty the costs of that appeal from Fantasy. Fogerty has continued to record new music, issuing several new albums since the trial. He has even resumed performing his earlier classics much to his fans’ delight, despite his qualms about Fantasy’s ownership. Fantasy remains an active music label; Saul Zaentz has gone on to success as a film producer. Copyright 1989, 1998, 2008 Ken Kwartler. All rights reserved.